I just thought of something, but they might be a little heavy. The snow tires on my Ion are 195/60/15 on steel 15x6ET42, 100x4BCD, 57.1 center hole. If those will fit a spark, I won't even have to buy tires, just use last year's Saturn tires. Looks like I'm in business, wheel-size.com says the Spark EV wheels are 56.6mm. Now I just need a private offer coupon, and maybe a bit more than the current $10,475 lease incentive package. I wonder what GM financial would do if you turned in a Spark with four year old snow tires on steel wheels with wheel covers, as long as the snow tires are still over 4/32. Taxman wrote: I just thought of something, but they might be a little heavy. ... wheel-size.com says the Spark EV wheels are 56.6mm. That would be funny to get steelies and wheel covers past the post lease acceptance !!! You should still use 'hubcentric rings' on the steelies, correct? Give it a try some weekend and let us know! I spoke to someone at tirerack last fall about steel wheels and winter tires. He said they had some that work. I question that and I didn't pursue it because we get so little snow these days, I wonder why? In Michigan you'd want winter tires, I'm sure. I have +20k miles on it since I bought it with 3500 miles on it, mostly for free due to the free charging network in KC !! 1. You should still use 'hubcentric rings' on the steelies, correct? Give it a try some weekend and let us know! 2. Have you considered buying used? That's the route I used to get a Spark EV to KC. 1. Since you'd need hubcentric rings about 0.009" thick, I think I'd skip that part and just let them center on the nuts. Even if it's off by 1/100th of an inch, that's less than the imperfections in a tire. My new goals are to find a used one for $10k - $0.20 per odometer mile, or a new one for $11.5k on a lease. I might do both. If I lease one I'll try real hard to find out where it's being auctioned when the lease is done. I think in the winter of 2019-2020, Spark EVs will be dirt cheap at midwest dealer auctions, well below the lease residuals. I picked mine up for $7500 LT2 EV, cost me $700 to ship it to me but couldn't exactly fly there and drive back, 3rd car I've shipped and had zero issues with shipping thus far, titles from shady dealers is another story. (request to inspect a title of any car before signing) and I'm highly interested in if hptuners or anyone really ever got anywhere. If not my next mission will be a newer(think bolt or spark ev) drivetrain into a 2008 Smart cabrio for a weeeeee good time. Ok gang , Anyone know if the Planted Race seat bracket for the Chevy Sonic fits the Spark ? I’ve ordered a drivers seat and have Contacted Planted . They have not had a Spark in to match the floor plan but it looks very similar as do the stock brackets of the Sonic and look like the same seats in the base model ! Pretty sure I have everything worked out with the airbag light resistor like done in all race seats that retain use of the airbag system. 2.2 resistor seems to be a match but I am double checking that. Also the seat belt and chime can swap over but not the heated seats unless you hack your stock seats. The point of this would be a quick swap of components for Autocross , drag race , track and then be easily swapped out for the stock seat . Stay tuned the bracket is on the way. http://www.plantedtechnology.com/media/ ... 81dr-2.jpg The hooks are such are a different feature in the front. The middle is large enough for that black and yellow connector under the drivers seat. The Sonic and Spark base seats look to be the exact same mounting bracket stock and look to be the only seats like this. My Universal Corbeau race seat bracket and all others don’t fir this strange hook system for the bracket. video coming soon ! 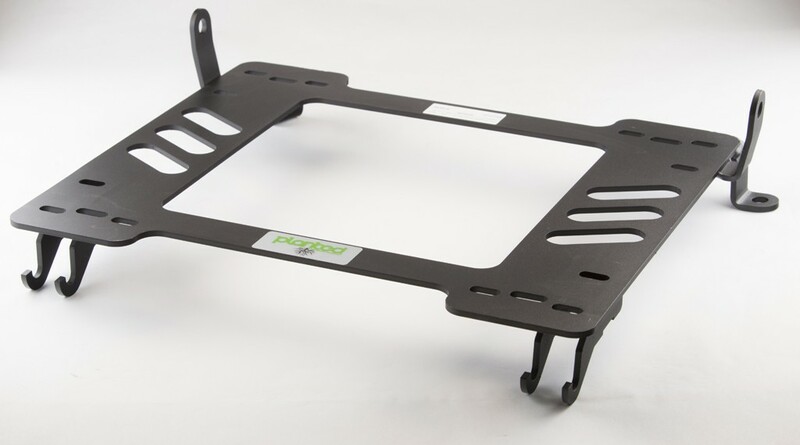 The Planted Technologies race seat bracket for the Chevy Sonic has the correct front hooks but the rear feet need to have a bracket made to fit. Also a relief cut must be made to clear an ECU looking box under the drivers seat. Stay tuned as the seat is well installed and retains the seat belt and electric connection. https://youtu.be/tH74pxiV4Mw This install is a full custom mod at your own risk. The Planted bracket needs modification and any good fabricator or shop can install drivers seats for your Chevy Spark Ev and probably the ICE Spark as well. Some info on the measurements are near the end . This method also insures a full swap to the stock seat and back within minutes. The manual was used to remove the seat and to aid in the install. The Front seat mounting bolts tightening torque is 33 ft lbs. Part 2 on the way soon. Enjoy !